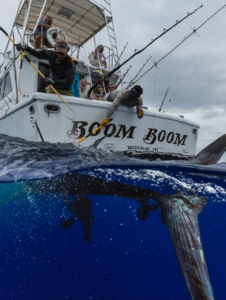 BOOM BOOM !, BOOM BOOM ! 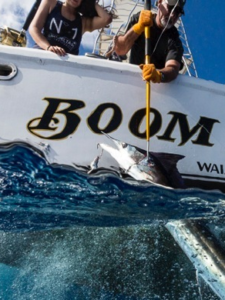 welcome aloha to BOOM BOOM Sportfishing ! 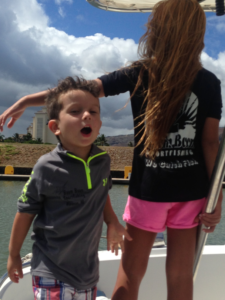 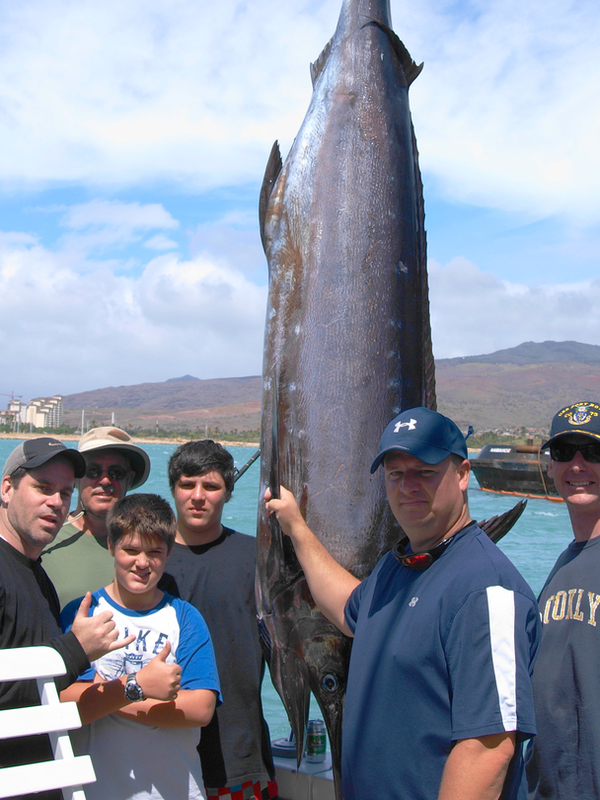 Boom Boom Sportfishing is located on the West Coast of Oahu, Hawaii at the Waianae Boat Harbor. 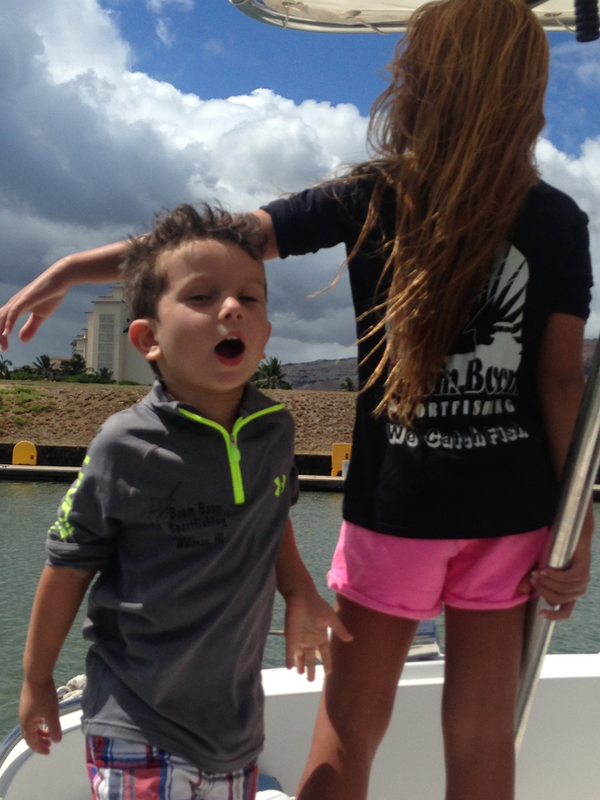 Just 15 minutes from Ko Olina and Aulani Resorts and 45 Minutes from Waikiki. 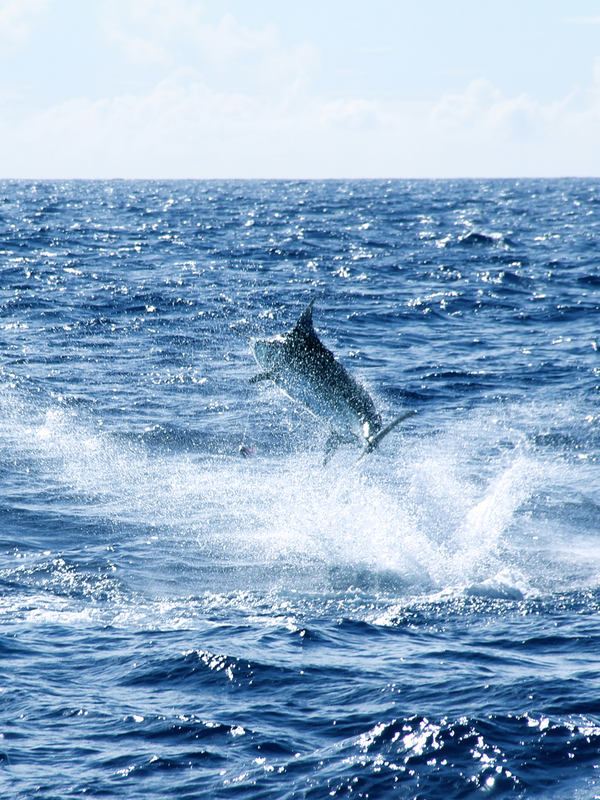 Our philosophy is simple, We Catch Fish. 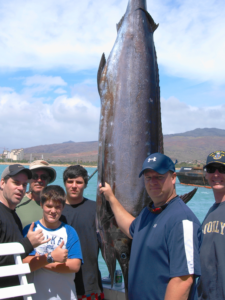 Our expertise and knowledge of Oahu’s West Coast fishing grounds provide our anglers with the Best chance of having an enjoyable and productive sportfishing charter. 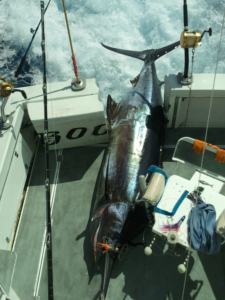 Oahu’s calm Leeward ocean has 5 FAD’S, or (Fish Aggregation Devices), combined with natural steep ocean ledges, this attracts a variety of Pelagic Fish. 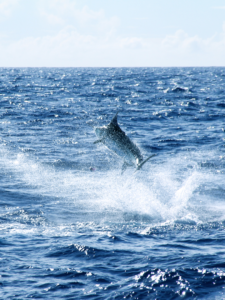 The 3,000 foot ledge is located 3 miles from our harbor, and the 6,000 foot ledge is just 7 miles away. 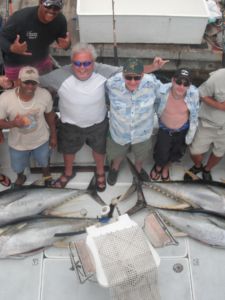 Our home port on Oahu’s West Coast is located in prime fishing waters, this puts us closer to the FAD’S than any other harbor, allowing our anglers less travel time to and from the fishing grounds, FAD’S, and fishing ledges, hence more fishing time. 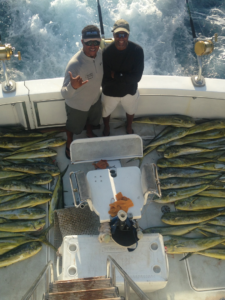 Making the Waianae Coast, Oahu’s BEST fishing grounds. Boom Boom Sportfishing offers daily 4 to 12 hours Deep Sea Fishing Charters.  You get to board our 50 foot Luxury Sportfisher, Boom Boom II. 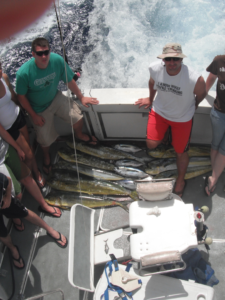 Whether you are an experienced angler, novice, or just looking for some fun with family or friends, our crew of professionals will make your charter a memorable, gratifying and safe sportfishing experience. 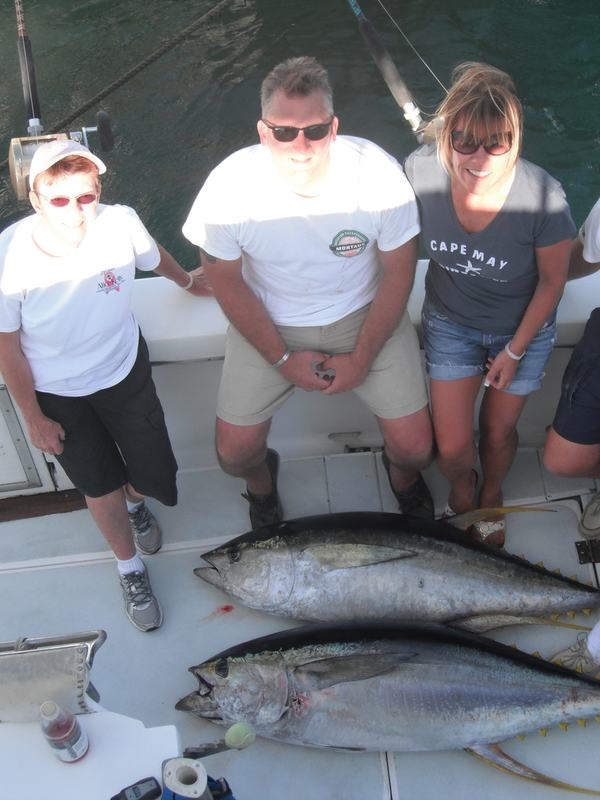 Outer-Island, multi-day trips, and Private Whale Watching Excursions are also available. 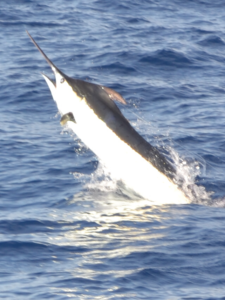 Along with the Giant Pacific Blue Marlin and Striped Marlin, the area boasts a healthy population of Ahi (Yellow Fin Tuna), Aku (Skipjack Tuna), Mahi Mahi (Dolphin Fish), Ono (Wahoo) and an occasional Sail Fish and Sword Fish. We catch fish utilizing several methods; Live Baiting, Trolling and Surface Jigging. 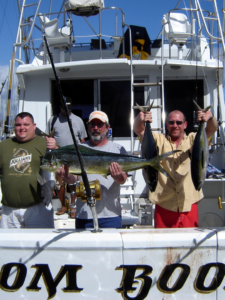 Our equipment spans from 30 lb. test Spinning Reels to 150 lb. 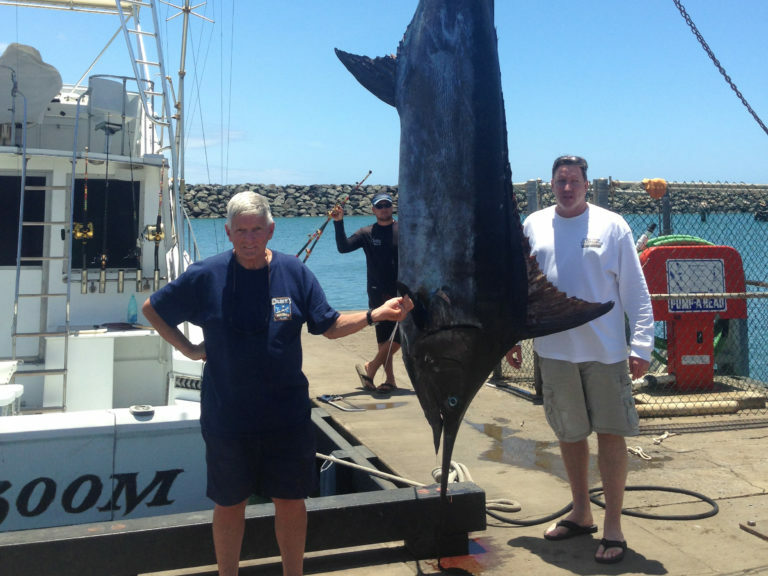 test 130 PENN and SHIMANO Internationals. We are prepared to get you hooked up for stand-up or fighting-chair fishing. Our Captains and Crew are among the BEST fishermen in the Hawaiian Islands. Had a awesome day fishing with boom boom sport fishing! They were very personable and made sure that they would land us some fish. We ended up with two skip jack tuna! 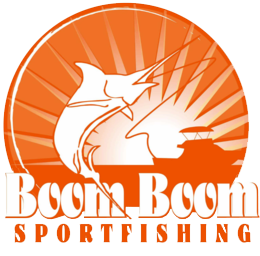 Highly recommend these guys.